If you would like to join our fantastic team, click here and fill out the form including your thoughts on why we should consider you. We are particularly interested in people with great energy and enthusiasm. I know that what we do at The Circle is special and I wake up every day with a little bit of happiness in my heart knowing that together we are making a difference. I have had a keen interest in sport and well-being all my life but business and then my family occupied my time and my mind so I kept to playing sports and going to the gym regularly until 1998 when I co-founded the Dyke Road Natural Health Clinic. The following year I started The Natural Health Service Limited when I realised that wellbeing could not be brought about by treatments alone and in October 2010 I formed the Happy Cell which was later incorporated into the Charity Smile2Live and then finally became The Circle Brighton in 2016 when we moved into our new larger premises. Today, most people accept that what we Think, Do and Eat contribute to every aspect of our mental and physical wellbeing. Dieting alone will not resolve issues in the long term nor will exercise or meditation! There are literally thousands of books and publications on “how to be happy and healthy” but nothing will ever help unless the individual makes a decision to make a change and then take direct and decisive action. I have been very lucky and blessed to have an amazing team working alongside me and helping to shape and deliver our ethos; thanks to them we have proved our simple principles over and over again. Yoga has been a way of life for me for many years. I trained as a Hatha yoga teacher with the British Wheel of Yoga and hold a 500 hour diploma certificate. In 2017 I completed a teaching diploma in Well Woman Yoga. I nurture and care for my students with a relaxed and safe approach. “Yoga allows you to rediscover a sense of wholeness in your life, where you do not feel like you are constantly trying to fit broken pieces together.” - B.K.S Iyengar. I LOVE working at The Circle. It is an honour to working with such an amazing group of friendly, caring, talented and devoted people. I LOVE working at The Circle. It is an honour to work with such an amazing group of friendly, caring, talented and devoted people. The Circle is all about community, health and happiness and it is fantastic to see the difference that is being made to our members’ lives. I love to deliver fun, life changing fitness experiences that improve personal wellbeing and happiness. My life has always been centred around my love of fitness of both the mind and the body. I teach a variety of classes including BODYPUMP, BODYCOMBAT, SPIN, BODYATTACK and BODYBALANCE. I love to deliver fun, life changing fitness experiences that improve personal wellbeing and happiness. In my spare time I love to run over the South Downs and by the sea. "I believe fitness classes should be fun as well as challenging. I do like to push people to their limit in my class and see the progress they make." I am a Boxercise, FIT2FITE, Spin, Les Mills RPM, Vibe Cycle and Pilates instructor. I have been teaching in the UK and China, and fitness has been part of my entire life. I am a Boxercise, FIT2FITE, Spin, Les Mills RPM, Vibe Cycle and Pilates instructor. I have been teaching in the UK and China, and fitness has been part of my entire life. I love working with all types of people, with a variety of goals. Acknowledging that we are all very different, my classes will endeavour to focus on each individual practicing safely and to your own personal limits. I believe that the greater your energy, the more efficient your body and the better you move, the better you feel. It’s never too late to start becoming healthier, fitter and stronger, to achieve a balanced mind, body and spirit! I look forward to seeing you at class very soon. Group exercise classes have been a huge part of my life for 12 years. I am also a personal trainer and the experience in both goes hand in hand. Group exercise classes have been a huge part of my life for 12 years. I am also a personal trainer and the experience in both goes hand in hand. I look forward to seeing you, and training with you towards your own fitness goals in my classes. Hi, I’m Hannah and I’m all about Spin, Spin, Spin - and now Rebound. Hi, I’m Hannah and I’m all about Spin, Spin, Spin - and now Rebound. I qualified 3 years ago when I had the chance to train as a RPM instructor – I had never been to a Spin class before & now I’m hooked . Same goes for Rebound. When I was given the chance to train as a Rebound instructor, it was just something I could not turn down. I have always been into fitness from a very early age - cross country, athletics and rowing through the years have won a few coastal rowing championships in my time. I still love to get out when I can. I have been in the fitness industry for over 19 years and I still love it. On top of being qualified in Spinning and Rebound I am also a level 3 personal trainer. My passion is to help people reach their ultimate goals. I can come across a little quiet sometimes but when I have that head mic on I’m unstoppable. I love all sorts of music so if I can Spin or even Bounce to it, I’ll use it! I am a nutrition coach & personal trainer with over 10 years experience in the fitness industry. I'm passionate about exercise to music and I love seeing the positive effects that attending these classes has on people. I teach Les Mills BODYPUMP, BODYCOMBAT and CXWORX at The Circle Studios and hope to see you in a class soon! Menchu is trained in contemporary dance and Hatha Yoga as well as classical Pilates. Her classes are always dynamic and challenging as well as being fun. Hi, my name is Bryan and I teach Vibe Cycle. In Vibe Cycle we ride to the rhythm of the music, giving you an amazing workout and I think the most enjoyable and fun indoor cycling experience – try it and I’m sure you will be back for more! My name is Bryan and I teach Vibe Cycle. In Vibe Cycle we ride to the rhythm of the music, giving you an amazing workout and I think the most enjoyable and fun indoor cycling experience – try it and I’m sure you will be back for more. I am a qualified Level 2 Vibe Cycle Instructor, a Level 3 Personal Trainer & Level 2 Gym Instructor. 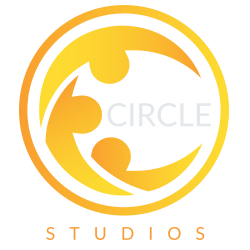 I live locally and am a member of The Circle Studios so instructing here is really ‘fun, friendly, fitness’. I enjoy teaching classes for all fitness levels, including those who have never exercised before, or are returning after a break. Seeing members come back week after week for more Vibe is such a great feeling and the reason I get such a buzz from teaching it. Please don’t hesitate to join us for Vibe Cycle – if you’re new come for a set up and try it for yourself. After starting my own fitness journey in 2009 from fat to fit by losing over 5 stone of body fat and reversing my previous Diabetes Type 2 diagnosis, I became extremely passionate about health & fitness. After starting my own fitness journey in 2009 from fat to fit by losing over 5 stone of body fat and reversing my previous Diabetes Type 2 diagnosis, I became extremely passionate about health & fitness. I qualified as a Personal Trainer, Nutrition Advisor and Fitness Instructor so I could help motivate and inspire others in their fitness journeys. I teach a mix of classes including Les Mills BODYPUMP™, Box Fit, HIIT, Abs and Spin and love to feel the energy that I put into my classes reflected back from the participants. See you in a class soon! "Marta's enthusiasm and easy-going nature allows dancers to immediately feel comfortable and she transfers her passion for samba and Brazilian culture to her students." Marta's professionalism in teaching and performing spans over twenty years, with choreography and performance roles across Brasil, Europe, the Middle-East and the USA (including Broadway and Las Vegas), as well as parading at Rio Carnival with 'Salgueiro' and 'Tradicao' as Passista. Marta's enthusiasm and easy-going nature allows dancers to immediately feel comfortable and she transfers her passion for samba and Brasilian culture to her students. Most recently, Marta choreographed the Brighton School of Samba's debut performance at Brighton Pride (2011) and she is a regular dance instructor at London School of Samba. I am a Rebound/Bounce and Step teacher and have been for over 20 years along with Vibe, Pilates and Conditioning:) I am YMCA qualified & REPS approved. I am a Rebound/Bounce and Step teacher and have been for over 20 years along with Vibe, Pilates and Conditioning:) I am YMCA qualified & REPS approved. I currently teach Rebound Bounce & Burn and Step at The Circle. I love it when I see others amaze themselves with what they can achieve. Come and say hi! Meet me in Vibe and amaze yourself. "I currently teach Zumba, Step, BODYCOMBAT, BODYBALANCE and Yoga; something for everyone!!" Teaching fitness classes has become another way to share my passion for dance and fitness. My classes are all about giving your all and having a great time whilst doing it! I started dancing at the age of 3 and have always been a keen sports woman. Whilst studying dance and performance arts at college and university I remained very much involved with other types of physical fitness including; kick boxing, yoga, tour biking and triathlon. After living in Brighton for 7 years, I moved to Bristol and joined the circus. For several years I trained and performed as an Aerialist, Physical Theatre Artist and Singer. Since qualifying as an Exercise To Music Instructor in 2013, I have focused more on developing and broadening my skills as an instructor. However, I still do a few shows every year and am especially fond of Cabaret. I currently teach Zumba, Step, BODYCOMBAT and BODYBALANCE and Yoga; something for everyone!!" Join me for some great tunes and a fun and effective workout! Kristal’s love for yoga began in 2008 when a friend introduced her to Iyengar. She then went on to practice regularly and tried many different styles of yoga. She found that this amazing practice was so much more then a physical exercise, it became an internal practice that you could use on and off your mat to help with the obstacles of everyday life. Kristal became a teacher to share her positive experience and energy to make a difference to peoples lives. Kristal teaches Vinyasa flow, gentle hatha and Yin. She continues to grow her knowledge with regular workshops. She is currently studying towards her advanced 300hr Vinyasa flow teacher training with Allesandra Pecorella at the aditya Yoga school in London and will be studying with Norman Blair in London later this year for advanced Yin yoga. I first trained as a contemporary dancer but now my love for fitness has taken over. I first trained as a contemporary dancer but now my love for fitness has taken over. I absolutely love teaching fun, feel-good fitness classes and motivating our members to achieve their goals. I found yoga about four years ago, where I slowly developed my own practice over time. I started to make up my own flows which included everything from backbends to arm balances, inversions to hip openers. I found yoga about four years ago, where I slowly developed my own practice over time. I started to make up my own flows which included everything from backbends to arm balances, inversions to hip openers. Earlier on this year I completed my 200 hour YTTC in Goa, India and am now certified to teach Ashtanga and Ashtanga Vinyasa Yoga. As I continue down this path as a yoga teacher, my knowledge, learning and understanding will forever continue. I place a great emphasis on my students being content with their own personal practice, without comparing themselves to others. Ultimately I want my student to walk away from my class radiating with joy and happiness. "Fitness is my passion and being able to work in the industry full time is the best job ever!" Hey, my name is Lauren, I am a personal trainer and group exercise instructor. Fitness is my passion and being able to work in the industry full time is the best job ever! My main love is martial arts and that lead me to become a Body Combat instructor. I also teach Spin, Vibe, Fight FX, Clubbercise and Circuits. I hope to see you at a class soon. "I enjoy every day and love seeing how people have fun whilst gaining fitness, strength and of course flexibility!" Hi, I am Karen, Female, Fit and Fifty Plus! I have worked within Active4Less for 6 years now Studio teaching Spin, Vibe, Hop, Body Balance, Power Plates, Circuits and Yoga and working for Quickfit and Foreverfit too! This Club has the most amazing instructors and classes you will not find anywhere else - all in one place. I enjoy every day and love seeing how people have fun whilst gaining fitness, strength and of course flexibility! Exercise really does affect both our mental and physical being and it is so rewarding being involved in the journey with clients from all walks of life. We are here to motivate, enthuse and get you up and moving! I have worked in a few good gyms but never with so much fun and such happy clients! Hi I’m Annie I have been practising Aerial Yoga for the last 6 years and love sharing and teaching my passion. Aerial Yoga is a playful yoga I am constantly expanding my experience enabling me to other fun fresh classes. Helen is a professionally trained dancer and has had a very successful career in the industry, choreographing and performing worldwide. Helen is a professionally trained dancer and has had a very successful career in the industry, choreographing and performing worldwide. She has continued to spread her love and passion for dance through teaching others and creating production shows around the world. Helen is a fun and motivational teacher with a positive energy and believes in bringing everyone to their own personal peak. Helen was head hunted by the founders of Flowetic and is very excited to add Flowetic to her repertoire bringing this new dance exercise class to everyone, inspiring people and giving them the chance to feel like a dancer. Flowetic is a beautiful class combining dance, toning and strengthening exercises alongside stretching and relaxation, fitness and wellbeing for the body and mind. The soundtrack to a Flowetic class is brilliant and you can zone into the music leaving every day life stress behind, with a mix of choreography to compliment the music using a range of dance styles. When the class has finished, walk out of the studio a little taller and a whole lot happier, just come and see what it’s all about you’ll love it, promise. I teach Pilates & Zumba here at The Circle Studios. My classes are energetic, motivating and fun. I teach Pilates & Zumba here at the Circle Studios. My classes are energetic, motivating and fun. Pilates has a different feel. I like to concentrate on helping my clients improve their technique and reduce any pain caused by injuries through the principles of Pilates. I started dancing at a young, which lead to me working as a professional dancer for 3 years performing in many productions in a range of venues.